After considering the initial questions, plan your process carefully. 1. Meet informally with people who are interested in your new chapter. Establishing an initial team will help you not only recruit others to help with chapter formation, but also give you a chance to evaluate people who may become part of the chapter’s leadership team. Discussing your vision for the chapter with others – and learning their goals and interests – will help you determine whether there are enough interested people to start (and maintain) a chapter. Keep this process brief (one-three months), so people do not lose interest. 2. Start planning the chapter’s first public event. This could be as simple as bringing people together for a discussion about the chapter or it could involve presentations: a speaker from the local area, a screening of local computer graphics work, or a meeting that takes place after another event in your area. Local organizations are often quite willing to help other groups get started by sharing a meeting time. This meeting should be scheduled within the first two months after your informal chapter meetings (Step 1). 4. The proposed leadership group should give some thought to programming plans for the first year of chapter operation. Specific dates are not necessary, but possible topics and presenters, approximate timeframe (for example, late-November, early December or February are okay; the year-end holiday season is not), possible venues, etc. This additional information is not intended to slow things down but rather to get the chapter leadership to think about the activities they organize once they are chartered. Keep it simple for the first year. Chapters are required to produce at least four events a year. Do not overreach by trying to schedule 15 events the first year. This usually has the undesired effect of burning out members who might not be prepared to devote so much time to chapter activities. 5. The core group and its interim officers should complete the online chapter chartering forms. When submitting your petition, please keep in mind that ACM SIGGRAPH requires its chapters to be named for cities or regions, not countries or states. Also, ACM SIGGRAPH requires its chapters to have FOUR officers from the time they are chartered. Please make sure you have four people willing to serve in these officer roles. When your documents have been approved by both ACM and ACM SIGGRAPH, you will be officially chartered as an ACM SIGGRAPH Chapter. A chapter must hold a minimum of four meetings per year to be considered active. A chapter is required to set up AND maintain a chapter web site. Each chapter is expected to stay in regular contact with the Chapters Committee Chair via e-mail or phone. Each chapter must complete and return the ACM Annual Report. Each chapter is required to establish and maintain a current chapter profile through the ACM Chapter Administrative Interface. Each chapter is expected to add their leadership volunteers to the chapter-leaders mailing list. 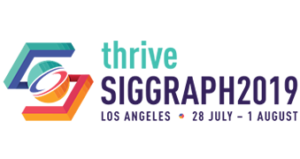 Chapters must publicize ACM SIGGRAPH and ACM events.